Sheila Muller, RN, BS, applies her 30 years of managed care senior leadership and operations experience to assist clients in maintaining compliance with the Centers for Medicare & Medicaid Services (CMS) regulations, the National Committee for Quality Assurance (NCQA) standards, and state regulations. 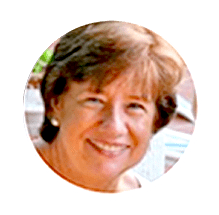 Sheila guides clients by conducting readiness assessments and mock CMS and NCQA audits, leading remediation processes, and creating and implementing internal audits and delegated entity oversight processes. Sheila’s operational consulting focus is with compliance and medical management functions including quality and performance improvement, compliance, credentialing, utilization management, disease management, case management and model of care. Sheila has years of experience in conducting due diligence reviews for acquisitions and start-up companies. Sheila is currently a California state surveyor, conducts CMS validation audits and has provided expert testimony and investigations with over 40 civil and federal cases for medical management, credentialing and compliance matters.